An Untouched House by Willem Frederick Hermans (translated by David Colmer) published by Pushkin at £7.99. My grandfather was an old soldier during the second world war. Too old to have been called up normally, he was called up because he had been in the Territorial Army and had experience of weapons. He became a regimental sergeant-major “in the field”. Somewhere I have a photo of him with a group of other RSMs, friends of his. He was the only one to survive the war. In charge of a supply column moving up Italy his group found themselves behind enemy lines after Italy surrendered and Germany invaded, sweeping down through Italy leaving his column stranded. Through the offices of some Glasgow Italian soldiers they were able to make contact with local partisans, hand over the supplies to them and fought alongside them for some months. Family legend is that was the one period of the war he would never talk about. What did they do that he could not talk about? Partisan warfare is not exactly nice, you can’t take prisoners. From time to time I’ve read novels or experiences of partisan life and have just read An Untouched House by Willem Frederick Hermans (translated by David Colmer), newly published by Pushkin at £7.99. Hermans was a Dutch writer, read by many in Holland, but whose work was so disliked that he went into voluntary exile. He did not make life easy for himself, as the afterword by Cees Nooteboom, explains. When Hermans died his archives comprise “thirty meters of coagulated anger”. Partly this was because he published about the war before plucky little Holland had come to terms with aspects of their war that were not the stuff of legend. Later he was a critic of Dutch rule in Indonesia. This book, first published in 1951, is a novella about a short period in the life of an unnamed Dutch partisan who somehow ended up fighting in an unnamed area of Eastern Europe. After a successful battle against occupying German forces he wanders off and finds the untouched house of the title, a rather beautiful house in an area deserted by its occupants. There’s soup on the stove, evidence of recent flight, but no sign of life. The partisan explores the house, strips off his filthy battle gear, bathes and sleeps in clean sheets. Then German soldiers turn up, knocking at the door, planning to requisition the house. He – the partisan – passes himself off as the owner and allows them in, simply grumbling a bit to ensure they look after the place, as any owner would. It sounds a bit like a farce typing this, but shortly afterwards the real owners turn up when the Germans are out on patrol. The partisan has no option but to kill them to avoid being found out. In due course his former partisan comrades arrive, the Germans have been beaten off for good, the German captain had already surrendered to the partisan of the story, now back in uniform and the mystery of the one locked room in the house has been solved. The partisans proceed to find the wine cellar, get raging drunk and… well, they are not exactly nice to the house, their captive and an elderly deaf and confused man who had turned up to look after his collection of rare fish in that locked room. The fish don’t do well out of this either. And this book is one of the reasons Hermans was read but not popular in Holland. Every occupied force and every army of occupation likes to think of itself at least in retrospect as the good guys, the most moral. Hermans, in An Untouched House, suggests otherwise. In 1971 I became quite friendly with some people from the International Marxist Group n Glasgow, then a significant Trotskyist group. I did find it a bit strange – people had pretend “cadre” names, though everyone knew who each other was and it is hard to imagine for a second that the state didn’t have the odd implant within the group anyway. I didn’t get that involved, but I did go to a conference where I found the various factions of the group hated each other more than they hated capitalism. Not for me. That was my flirtation with Trotskyism. In the intervening years I have worked closely with some Trotskyists on anti-fascist work, seen the arse-end of their sectarianism, seen organisations built by them and organisations destroyed by them, stood appalled at some of their behaviour and made good friends with some individual Trotskyists who I know would have my back if the going got tough. But never thought of joining them. John Kelly’s Contemporary Trotskyism: parties, sects and social movements in Britain is about as good a guide to that scene as you can get (with the exception of John Sullivan’s essential but dated skit A Soon as this Pub Closes, freely available online). Kelly reveals there are (or were in 2017) 22 UK-wide Trotskyist parties or groups in Britain, whose membership ranges from a claimed 5,936 members of the Socialist Workers Party to the mighty two of the Revolutionary Communist International Tendency in Britain. At least they do have two as that would be a very large banner for one to carry. Nine of the organisations have fewer than fifteen members, even the Spartacist League whose ten is a fairly small achievement for a group operating here since 1975. Having read the odd paper of the Sparts, the amazing thing is that ten have joined them. My sources in some of the groups indicate that Kelly’s membership figures are fairly accurate, but quite unbelievable about the SWP. During the period around 2012 when about a thousand active members left in the wake of a sexual abuse scandal (involving the SWP’s general secretary, Martin Smith, strangely missing from this book’s index) it became obvious that most of their “members” had never paid dues, never attended branches and many were students, say, who’d signed up at a meeting but were never seen again. One person I came across “joined” several times at a national demonstration, for a laugh. Attendance at any political demonstration nationally or in my home town of Nottingham will tell you that the SWP is at a very low ebb. The SWP is famously sectarian, forever setting up front organisations under their control. They were, for example, the only left group that would not join Notts Anti-Fascist Alliance. It was a little too democratic for them. In 1994 Mushroom Bookshop, where I worked, was attacked and wrecked by fifty or so Nazis, many of whom were arrested and about dozen of whom were eventually jailed. Immediately after the attack the local Anti-Nazi League ie the SWP called a press conference about the attack and a demonstration a week later. We were invited to attend their press conference and to speak at their rally about the attack on us! We declined – not least as we were busy putting the shop back together – and working with a much wider grouping to organise the biggest anti-fascist demonstration Nottingham had seen since the 1930s. More on numbers – the fourth largest Trotskyist group listed is Socialist Appeal with 300 members. This is the group that stayed in the Labour Party when Militant (now the Socialist Party) left, the minority following the former Millie leader Ted Grant in staying. That’s fewer than one person in two parliamentary constituencies. Here in Nottingham the exotically-named Alliance for Workers Liberty has a significant presence, yet nationally only 140 members. These two are the biggest groups in the Labour Party but despite that Tom Watson, yes, that Tom Watson, in his long campaign against his party leader, claimed in 2016 that the Labour Party was at risk of a Trotskyist take over. Indeed, the impact of Corbyn has almost certainly to diminish the number of potential recruits to the main Trotskyist groups, as they are outside the Labour Party. The Socialist Party is a fraction of its size when, as Militant, it had two or three MPs in its ranks, control of Liverpool council and more full time workers than the Labour Party itself. Millie’s much vaunted record of control in Liverpool, by the way, is contested – it is worth finding an old copy of The Racial Policies of Militant in Liverpool published by the Runnymede Trust and the Liverpool Black Caucus during Militant’s high water mark in 1986. Contemporary Trotskyism starts by explaining what Trotskyism is, bringing back happy memories of debating permanent revolution, the united front, united fronts of a special kind, transitional demands, the revolutionary vanguard party, democratic centralism, rank and fileism and, ultimately, the dictatorship of the proletariat. But primarily this book is about their organisational presence as parties, as internationals (you are nobody unless you have a sister group or two overseas), and within social movements. And it is in the latter that most people will come across them, often not so much in the vanguard as trying desperately to catch up. This happened in my lifetime with the miners’ strike, the anti-poll tax campaign, CND and the anti-fascist movement. But they were ahead of the game with the Vietnam Solidarity Campaign, Stop the War and others. In the latter the SWP provided the organisational framework for the Stoppers, until two of its leaders, John Rees and Lindsey German, were turfed out, forming Counterfire. The power couple had been blamed for the SWP’s lash up with George Galloway in his Respect Coalition. John Kelly’s book has many charts such as growth, income and membership of Trotskyist groups but he could have done to have added a chart of longevity of individual leaders. Most of the Trotsskyist groups have the same leaders for life. Tony Cliff (born Yigael Gluckstein in Palestine) founded the SWP (as the Socialist Review Group) in around 1950 and he was still leader fifty years later when he died. Ted Grant (born Isaac Blank in South Africa) formed the group that became Militant in 1937 and was still at the helm in 1992 when he was defenestrated, setting up the Socialist Appeal group which he run until his death in 2006. Gerry Healy was an early colleague of Grant’s before setting up the fiefdom that became the Workers’ Revolutionary Party in 1950 which he led for 35 years before his sexual abuse and bullying led to the implosion of the group, after which he still led a fragment of true believers. Sean Matgamma, like Healy, an Irishman, has led the group that became AWL since 1966 and still leads it, when he is not writing his famously bad poetry. Peter Taaffe was in Militant’s leadership when Ted Grant was expelled and has already racked up twenty years as the leader of the Socialist Party. Alan Thornett…. well, you get the message. Much of this can be laid at the door of they way these parties seem to operate – outgoing central committees suggest their slate for the incoming committees, and are based round a group of full-timers. Membership commitment (the SWP aside) is high and dues are sometimes 10% of your wage. Kelly’s book is well-written, given it is a book for trainspotters of a special kind, though strangely its cover features a banner from a tiny Maoist group which must have annoyed some people, not least those members of the Maoist group. Anyone seriously into Trotskyist trainspotting, however, should sign up to receive the bulletins of Splits and Fusions which also has an online archive of current, long-dead and half-forgotten Trotskyist papers and organisations, including the semi-mythical Internal Bulletins. 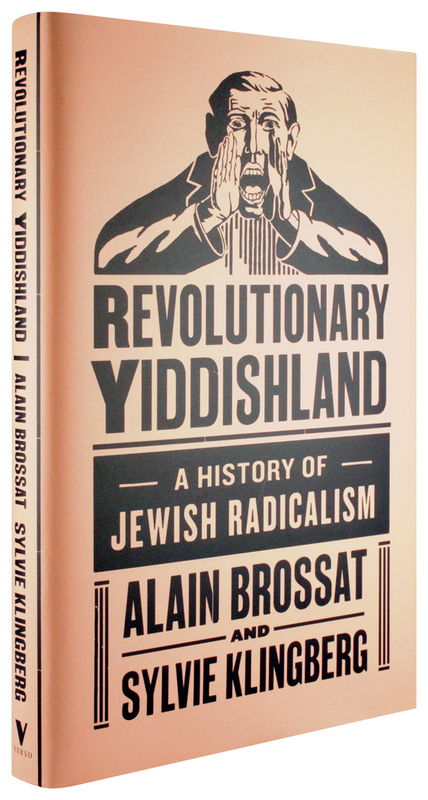 It’s encouraging that the website is self-mocking in its title as, well, that’s what Trotskyist do – split and fuse. Turning back the International Marxist Group and Nottingham… Our own Ken Coates’ International Group, which became the IMG in 1967 is barely mentioned, nor is (Pat Jordan’s) International Bookshop in Nottingham. Indeed the Trotskyist bookshops are mentioned on one page only and only as a source of funds for the party. Anyone wanting to explore this further should go to http://www.leftontheshelfbooks.co.uk/images/doc/Radical-Bookshops-Listing.pdf which has the best listing of past radical bookshops, communist, Trotskyist and libertarian. But what is worth mentioning is that whereas I rarely come across anyone who used to be in the awful WRP, which at one time had perhaps 6,000 members, in Nottingham at least all the former members of the IMG I know here are still involved in politics, have been and are major and beneficial contributors to trade unions, local and labour history, the women’s movement, refugee support groups and environmental campaigns. Perhaps I should have paid more attention at that conference in 1971. One final point, given that this website is about left culture, though the Trotskyist movement has produced some excellent writers of non-fiction – Paul Foot and David Widgery stand out – they have produced little left culture of their own. Aside from Rock Against Racism, which was Trotskyist influenced, I’m struggling to think of any long term or even short term arts project coming from that milieu save for a very short-lived coffee-bar and venue run in London by Counterfire modelled, perhaps, on the Partisan coffee house of the late fifties and early sixties. But there is hope, I am told (by a very cultured member) within the Socialist Party. At a recent conference this subject attracted a very large attendance and the SP has spawned an art magazine, Bad Art. I can’t help but think old Ted Grant would think that a bourgeois deviation from the real class struggle. The Diary, recently published to acclaim, covers a year starting 5th February 2014. I might have missed the reason the book covers that strange calendar year, but if feels stranger that the book has only been recently published. Given that the author lives in Wigtown, the cornerstone of the year was the ballot on Scottish independence. It seems a long time ago now. Wigtown is a “book town” with several bookshops and a large festival. The Bookshop is at the heart of this with the shop also providing a gathering space for visiting authors and a “festival bed” that can be booked in advance. The cover tells us that Bythell is a misanthrope and bibliophile. The former is not completely true, but if any of the Five Leaves’ workers talked so publicly and critically about our customers they’d be out on their ear. I should have seen the traffic light red warning on the cover: “warm, witty and laugh-out loud funny” said the Daily Mail. It was certainly not warm or witty to to write of the last day of one of his workers who, as she was leaving, was given a hug. “She hates physical contact, so it was particularly gratifying to see how uncomfortable it made her”. Ir’s not all Black Books by any means, though it perhaps sells well in the wake of that programme. Some of the author’s comments did ring true, however. I can’t find the exact quote but if someone does come in and shout something like “Books! I could spend a fortune and all day in here!” it is a guarantee that they will spend nothing and be gone in ten minutes. Having spent more years than is healthy working in the new books trade, I realise how little I knew about the second-hand world. Where do they get the books from, for example? Death and downsizing mostly, often involving the author in long drives to pore over collections that might or might not hold gems. Many such collections seem to be covered with cat hair. Bythell augments his sales by a subscription-based Random Book Club and bits and pieces picked up at auction. But throughout the book there are gibes followed by rants against Amazon for driving down the price of second-hand books, even charging 41p commission on the, then, £2.80 standard postage charged via to consumers on purchases via their Marketplace. Other than occasional coups, sold privately, standard income is over the counter or via Amazon or ABE (owned by Amazon…). Day by day the totals are noted. Only on one day, during the book festival, do sales top £1000. Mostly they are in the low hundreds and, during the dog days of winter, tens. The nadir being the last day of the diary. Five online orders but only four paying customers in the shop, till total £18.50. There is some genuine humour in this book, especially in the relationship between the owner and the incompetent and contrary part-time worker Nicky, whose specialism was bringing in squashed and unidentifiable food found by dumpster diving. But I did not laugh out loud. As the number of second-hand bookshops declines, so has the literature about them increased. But I tell you what, borrow this book from the library and wander in to Jermy and Westerman on Mansfield Road and spend your £14.99 there. That will help keep our city’s main second-hand bookshop alive. And if you buy second-hand online, check Alibris first as they are not owned by that big river. This book is about communal amnesia. Its author, Francis O’Gorman, believes advanced capitalism has triggered processes that detach us from the benefits of our history such as wisdom, pleasure, identity and security and we are, he says, fostering “a dedication to forgetfulness.” This leaves us with the sense that the literature, art and music of the past is valuable only as material for school and university examinations. O’Gorman, a respected academic, is painstaking in evidencing his arguments, although there’s a digressive and free-fl owing quality to the book. A reflection on John Maynard Keynes’s notion of academic orthodoxy, for example, segues into an assessment of the educational handbook Pimp Your Lesson! which epitomises the principles of relentless “innovation” and “perfection” in teaching. O’Gorman starts by establishing the “back-story” of forgetting, comparing the restorative power of narratives from antiquity such as The Aeneid to Christian texts, such as St Augustine’s The City of God, which blot out the past. He goes on to consider the impact of “modern forgetting” and the impact of the technology of the industrial revolution on the pace of our lives and our responses to language, literature and history. He then tackles contemporary capitalism’s reverence of the “new” and considers the impact of the language of business planning and career development. Highlighting the way our obsessive future focus is used to justify political and economic policies, he cites George Osborne’s attempts to sell austerity in terms of delivering a “better” future for the as yet unborn. He also considers the role the concepts of clinical psychology play in alienating us from the past. The commercialisation of academia creates a diminished sense of intellectual responsibility, an expectation of immediate gratifi cation and a lack of understanding of the effort needed to fully understand the past, O’Gorman contends, and he goes on to discuss a series of non-fiction works on the themes of place and belonging that constitute an antidote to the forgetfulness which is fostered by capitalism and modernism. I was initially sceptical about O’Gorman’s central idea — for me, contemporary culture seems more like Mervyn Peake’s tradition-bound Gormenghast than Aldous Huxley’s Brave New World, in which “history is bunk.” But my reservations evaporated. Yes, we do live in a Gormenghast-like museum culture, but our understanding of its rituals and texts has been deliberately erased. 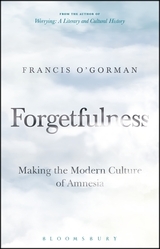 While Forgetfulness doesn’t cover every aspect of culture and memory, it is an engaging dissection of an important phenomenon.